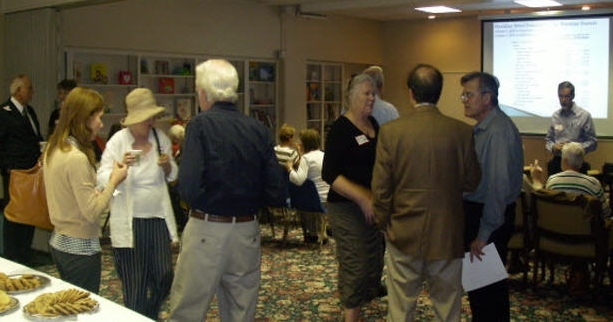 The Meridian Street Foundation sponsors events for neighbors and the public throughout the year. Most of these events require payment and/or reservations, both of which can be made on this page. To enjoy pictures of past events, click here. This event replaces the March 2 Winter Party which had to be postponed. Tickets previously purchased for the Winter Party will be honored. Information: For more information please contact us. RSVP: Please RSVP by completing the form on the right, and then pay using the PayPal button. Description: Visit with the Easter Bunny. Children will enjoy face painting, music, games, and a bounce house. Event will go on rain or shine! Foundation members encouraged to attend. No reservations necessary. 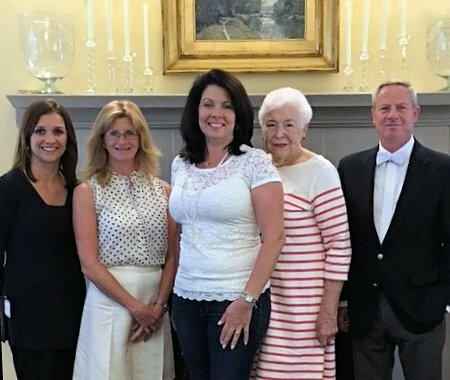 Meridian Street Foundation board members (from left to right) Nicole Chase, Allie Madden, Peggy Sabens, and Tom Shortridge met with Indiana First Lady, Janet Holcomb (middle) at the Governor’s Residence. The Governor and Mrs. Holcomb will be moving into the Residence, which lies within the MSF district, after some much-needed repairs are completed.